Each year, when I come to the seder table, I experience it a little differently. At my very first seder, before I even thought I could become a Jew, I was mystified. I was the Child Who Does Not Know How to Ask at a seder that was mostly in Hebrew and completely opaque to me. What I did know was that I had been invited to join that household for something precious to them. I listened, I followed directions, I drank four cups of wine and I left feeling a little sick. I look back on that seder, and realize that I was there as an observer, not as a participant, and four cups of wine is a lot of wine, so OK.
Every year since I began my journey into Judaism, the seder sneaks up on me. The first few years, I was worried about performance, from the dishes to the text. I wanted it to be “perfect.” I wanted it to be a correct seder. It never was, and finally it dawned on me that I was missing the point. בְּכָל־דּוֹר וָדוֹר חַיָּב אָדָם לִרְאוֹת אֶת־עַצְמוֹ כְּאִלּוּ הוּא יָצָא מִמִּצְרַיִם, שֶׁנֶּאֱמַר: וְהִגַּדְתָּ לְבִנְךָ בַּיּוֹם הַהוּא לֵאמֹר, בַּעֲבוּר זֶה עָשָׂה ה’ לִי בְּצֵאתִי מִמִּצְרַיִם. לֹא אֶת־אֲבוֹתֵינוּ בִּלְבָד גָּאַל הַקָּדוֹשׁ בָּרוּךְ הוּא, אֶלָּא אַף אוֹתָנוּ גָּאַל עִמָּהֶם, שֶׁנֶּאֱמַר: וְאוֹתָנוּ הוֹצִיא מִשָּׁם, לְמַעַן הָבִיא אוֹתָנוּ, לָתֶת לָנוּ אֶת־הָאָרֶץ אֲשֶׁר נִשָׁבַּע לַאֲבֹתֵינוּ. This is the passage that finally explained to me what I was supposed to be doing at seder. I began digging at the concept of Egypt, and the results have been coming for over 20 years. Each year, sometime during the seder, I identify an Egypt that I have left, or in which I am still trapped and in need of deliverance. One year I suddenly flashed on my flight from a bad marriage and an abusive parent. I remembered my terror and my fear of the unknown. I burst into tears at the table and couldn’t bring myself to tell anyone what was happening with me. One year I realized that I was still in the Egypt of racism and a beneficiary of racism. There were bad things in my head that were never going away. Leaving that Egypt would mean reschooling my behavior and hoping that my mis-trained brain would follow. One year I burnt myself rather badly kashering the kitchen. I felt grumpy at the seder table until it hit me that here I was again, in Egypt! I had let my ego take over my observance of mitzvot. I resolved to let the sea part and let it take my ego with it. My house has never been that perfectly cleaned for Pesach since, but my observance has been a lot more authentic. One year I fled Israel for Passover. (I know, irony.) I was not sure that I was going back to finish rabbinical school because I was miserable. I felt too Other to be useful as a rabbi; too lost in Egypt to be any good to anyone. Then I sat at seder in NYC with some Jews who hadn’t done a seder in years. I rose from that table, ready to go back to school, convinced that I had something to offer. One year I was too exhausted for seder. I wrote about that seder in the post For a Very Hard Year: The Movie Seder. I don’t know what Egypt I will be delivered from this year. All of us have “narrow places” in our lives, places that we’ve gotten out of, or can’t get out of, or ways in which we are stuck. The message of the seder is one of hope: wherever I’m stuck, whatever is sticking in my throat, the situation is not hopeless. The sea may or may not part (I’m open to a miracle) but Pharaoh cannot hold me: I am free. What Egypts have you left? What Egypts remain? The Haggadah is not a Straightjacket! The Passover seder is meant to be an evening of delight. It’s so long and it is all in Hebrew! Not every American Jew is fluent in Hebrew. There’s no shame in reading the English translations. If someone at the table knows the Hebrew and wants to, let them choose some sections to read, but break it up with language everyone can understand. We’re starving! It’s too long till we get to the food! That’s a very good point. We can’t enjoy the goodies of the seder when we’re hungry. There’s a part of the seder called karpas (greens) where in most haggadot (plural of haggadah) we are told to say a blessing and dip some parsley in salt water. But the truth is, that’s a great time to serve a veggie platter of foods to dip: greens, carrots, celery, maybe cherry tomatoes and cauliflower, whatever your family likes. Serve dips with the veggies (guacamole is good!) and let everyone munch while we enjoy the seder service. That’s how the karpas section was meant to be. None of us know any music. MyJewishLearning.com has a whole list of places to find Passover music in time for the seder, whether you want to play it on your smartphone or sing it yourselves. Check out Where to Find Songs for your Passover Seder, which is just a click away. But it’s loooong and it’s booooring! Read through the haggadah ahead of time. (Anyone leading a seder should do this anyway.) If there are parts you know put everyone to sleep, shorten them. I promise I will not tell if you even skip a bit. But it’s boring! Is there someone in the family who secretly longs to host the Oscars? Who loves to do standup? Let this person lead your seder. Empower them to liven it up with props, skits, whatever works! Tell them to think of the haggadah as a script for an evening of improv. But it’s boring! One more idea: divide up the haggadah. Give each part to a different leader (you’ll still need someone to remind Cousin Fred that it’s now time for his part.) Encourage them to do it however they want, from whatever sources they like – do that part THEIR way. At least then, the voices will change, and you can accommodate both Aunt Sarah who wants to read her part in rapid Hebrew and Cousin David who really wants to do standup. But I hate our haggadah! Clearly you need a new haggadah. Yep, it’s an investment, but check out some of the new haggadot. There are also some free ones to be had online here and here. Organize a haggadah swap at your synagogue (ok, maybe next year.) Free haggadot are one-size-fits-all, and just like those pantyhose in the eggs, that means they don’t really fit anyone. Maybe next year, make your family its own haggadah. The haggadah was never meant to be a straightjacket. Like many Jewish texts, it evolved over time and then at some point, someone printed it and it froze a bit. Just remember that it is your heritage: you can do with it what you want. If you have a family full of Torah scholars, you’re going to have one kind of seder. If you have a table full of beginners, you’ll have a different seder. The whole idea of the seder is to make the story come alive – so if it feels dead, it’s time to take off the straightjacket and do something new. I wish you a zissen (sweet) Pesach! Posted on March 27, 2018 March 27, 2018 Categories PassoverTags Haggadah, Seder4 Comments on The Haggadah is not a Straightjacket! Both the article that this post links to and the post itself moved me deeply. What can I accomplish in my own Jewish life? There’s a question well worth asking. I’m tempted to do no more than link to an article, because it’s almost a case of res ipsa loquitur–the thing speaking for itself. But I think it’s important to talk about this issue a little more: making your own Haggadah. Take a close look at that Haggadah. What do you see in its language? What part of the seder do you wish would disappear? For one friend of mine, it’s the Four Children. She cringes every time she hears about the “wicked child.” As she points out, somewhere there is a child who identifies with that child, and she worries that there are children who internalize those words and never feel connected to the Jewish people. I think she has a point. The Four Children need some explanation to make a constructive point. In a proper seder, we don’t just read through the haggadah like radio announcers reading the news. We encourage conversation at the table. We encourage feelings. We ask questions – not just the Four Questions, but lots of questions. We make it clear to the children at the table that adults ask questions, too. Replace it. If there’s something that really bugs you, check out other haggadot and see how they handle that section. If you find something better, use that haggadah instead, or maybe use some hybrid of the two. Rewrite it. If you can’t find a text you like for that section, rewrite it yourself! You can get help – make an appointment with your rabbi to talk about the section of the seder that bothers you, and ask for help in figuring out what you’d rather say instead. Or just do it. Refer it. Look at your guest list. Is there someone coming who might enjoy the project of tackling that section? If you are going to do that, you can’t control how they do it, but you can say, look, that section doesn’t work for me, can you come up with something different? Reframe it. Many of the commentaries on the haggadah and books about Passover suggest alternate ways of understanding the traditional text. For instance, one popular way of reframing the Four Children is to see them as four aspects of every human personality. In some of us, one or another of the “children” is dominant, but most of us have all of them. Then incorporate that explanation into your seder, either by reading the commentary aloud or by paraphrasing it. 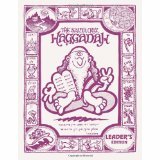 The Haggadah is a script for the seder. Like any script, we can adjust it to our situation, to the actors, and to the moment in time. Some years a very simple children’s haggadah is really the best thing for our table. Other years, something else will be best. And some years, parts of it need to be done as improv. As Robert D. Putnam pointed out way back in 1995 in Bowling Alone, Americans have ceased to be joiners. We do things alone from home, or we do them with our friends. We don’t join clubs and we pride ourselves on being private, perhaps because there is indeed so little real privacy in our lives. Passover is a curious holiday. In some ways, it is the most private of Jewish observances. We keep it primarily at home. Its central observance, the Passover seder, is a retelling of our foundation narrative, the story of the Exodus from Egypt. Also, because the seder involves seating and food and other limited resources, even when it is a community event, it’s by invitation or reservation only. And yet the Haggadah, the script for the Passover seder, pushes us towards a greater sense of community: “Let all who are hungry come and eat.” At one point in the seder we open the front door “for Elijah,” an act that at some points in Jewish history has been literally dangerous, since there were roaming antisemites in the street looking for Jews. Even in our darkest hours, the Haggadah has pushed us to open doors, to invite strangers in, to expand our circle while at the same time maintaining the boundaries of identity. And that, too, is true to the story. The Torah tells us in Exodus 12 that “v’gam erev rav alah itam” – “and also a mixed multitude went up with them” out of Egypt. Significantly, the text doesn’t specify who they were. They were the “all” who are welcome to come and eat, to share the danger and the promise of exodus, to taste the sweetness of charoset and the bitterness of the herbs. Our horseradish will bring tears to their eyes just as it does to ours. And with any luck our tears will mingle, joined together so that next year, in Jerusalem, they will be our old friends. 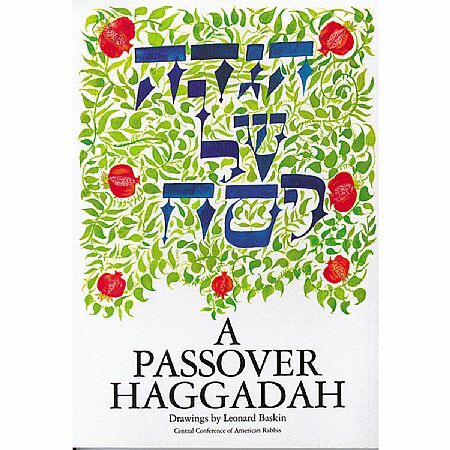 One of my students asked this evening about suggestions for Passover Haggadot (plural of Haggadah) and books about Passover. What a great idea! Keep in mind that the Haggadah is merely a script for the evening. What you choose to do with it is up to you: do everything, do only some parts, add favorite bits from other haggadot, do parts of it as skits, interpretive dance, whatever. OK, I was mostly kidding about the interpretive dance. But if that idea excites you, please send video! My point is, it’s your seder, do it in a way that will be meaningful for you and the people at your table! A complete set of haggadot can be a considerable investment, unless you inherit some or use the free ones that some grocery stores in big cities give away. The absolute best way to buy one is to go to a real bookstore and browse them: hold them in your hands, see how the pages turn, feel the weight, imagine them on your table. Look at the pictures or lack thereof, look at the text. If you must buy via the Internet, then buy one or two and try them out before you take the plunge. The other possibility is that maybe you want to collect haggadot and mix and match the contents for your own seder. More about that in another post. 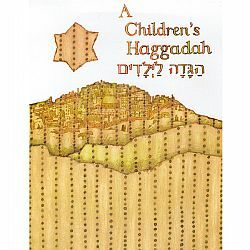 A Children’s Haggadah, Text by Rabbi Howard Bogot and Rabbi Robert Orkand, Illustrated and designed by Devis Grebu. I especially like this one when there are going to be children and/or folks who are new to the seder. It’s very well done but also quite simple. A Passover Haggadah, Rabbi Herbert Bronstein, ed. Illustrated by Leonard Baskin. This classic has been around many seder tables for years. 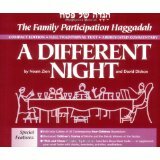 A Different Night, the Family Participation Haggadah, by David Dishon and Noam Zion. This book changed my whole approach to the seder. I used to feel bound by the seder and terribly anxious if we skipped anything. This book made me feel free to tailor the seder to the group at the table, and seders have been much better ever since. There is also a “compact edition” of this that you can buy to have at each place at the table (less expensive, and easier to handle.) The “leader’s edition” really qualifies not only as a Haggadah but also as a book about Passover. Some haggadot are gorgeous art books and not really intended for the table. OR they are commentaries on the haggadah, intended more for the study table in the weeks leading up to the seder. Either way, they can be wonderful to own in addition to the regular haggadot you will stain with wine and brisket gravy. Trust me: you do not want to juggle an art book or a ten pound commentary at the seder table! I have mentioned a few of my personal favorite haggadot. I’d like your help in expanding this list: what’s your favorite haggadah to actually use at the seder table? Please tell us about it in the comments with enough information for readers to find a copy! 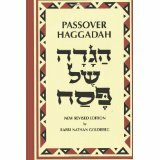 Posted on March 9, 2015 November 3, 2016 Categories Jewish Consumer, PassoverTags Haggadah, Hosting a seder, Passover Seder, Pesach14 Comments on Which Haggadah, Rabbi? Mop Bucket Enlightenment? – Yes, Really! We’re deep into a season for spiritual growth. 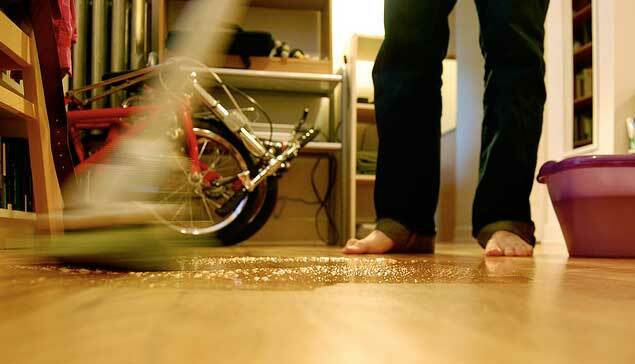 Jewish households worldwide are in a frenzy of cleaning. Other Jewish households are guiltily thinking they should be in a frenzy of cleaning. This raises the question, “Where is the spiritual benefit in all this mundane activity? Passover is an experiential holiday: if you are not a “text person,” this is the holiday for you! Every step of the way, we are offered multi-sensory experiences for learning truths about life and Judaism: tastes, smells, textures, sights, and sounds. During the seder, we hold up the maror, the bitter herb, symbolizing the bitterness of slavery. We say, “In every generation a person is obligated to regard himself as if he had come out of Egypt.” The bitter taste of horseradish is one way to taste that experience. Cleaning for Passover is another. We feel the mop handle in our hands, and hear the vacuum cleaner. It isn’t fun to do the whole house at once, to search out every possible crumb. If every member of a household pitches in on Passover prep, cleaning and cleaning in our “free” time, shlepping goods to the food drive, digging out the boxes of Passover dishes, boxing up things that shouldn’t be used during Passover, vacuuming everywhere, we get a little taste of manual labor, no matter how sedentary our day jobs. It’s hard work that we are commanded to do: a taste (just a taste) of servanthood. Our sore muscles will read us the Haggadah, if we do it right. We are seeking out every crumb of stale, puffed-up junk in our lives: not just the cookie crumbs in the toddler’s pockets, but the old grudges in our hearts and the stale notions in our heads. (Trust me, these things smell.) The mindless work of cleaning offers us undistracted time to reflect on what stinks, if we are brave enough to take it. This kind of cleaning is humbling. We see our slavery to bad habits, whether they are eating habits or housekeeping habits. We must notice our clutter. We must notice everything, because we have to look for chametz in it! Now perhaps you are not a person who cleans for Passover. But I encourage you to do at least a little, because it is a uniquely Jewish spiritual task. If you are thinking, “but I just can’t!” try reading Cleaning for Passover: Begin in Egypt. It’s a beginner’s approach to the spiritual journey of Passover. If we do this, when we reach the 14th of Nisan, we’ll be ready for a fresh beginning, ready to walk out into a life renewed, unburdened by chametz. Then, indeed, we can celebrate! Posted on March 24, 2014 April 6, 2014 Categories Mitzvot, PassoverTags Chametz, cleaning, Haggadah, Maror, spirituality2 Comments on Mop Bucket Enlightenment? – Yes, Really!